Bank certificate is issued by the Bank. 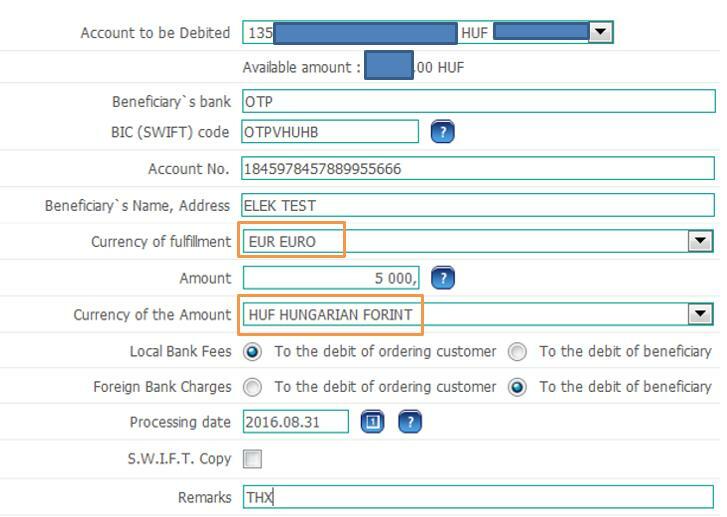 SEPA transfers are forwarded in XML file format, therefore, after October 31, 2016; the Bank will be unable to provide SWIFT copy about these transfers. The Bank shall start –unless otherwise agreed- the execution of transfer orders in the currency of a country which is outside the EEA to a state outside the EEA or to Hungary (domestic transfer) or to other EEA country at the latest on the business day following the date of receipt. 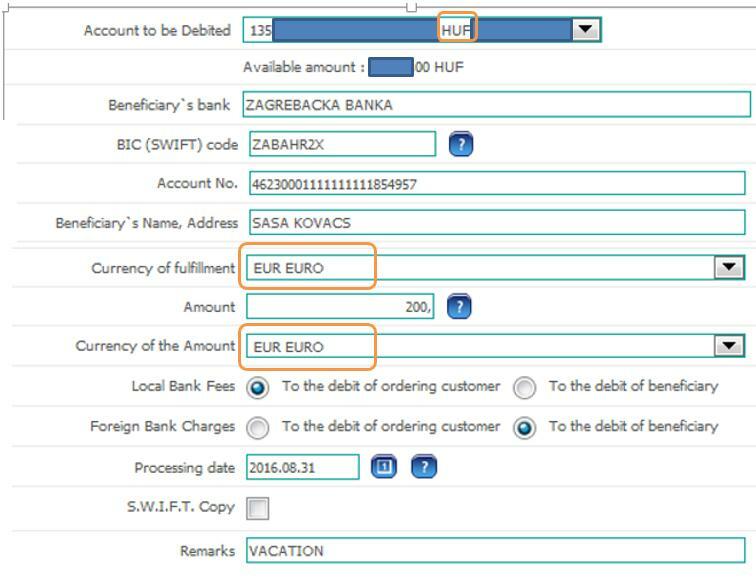 If conversion is required between the currencies during the execution of a payment order, where either any of the currencies involved is of a non-EEA Member State or the payment order is to a state outside the EEA, the time limit for execution is extended by two business days. SHA (shared costs) – means the charges are split between sender and beneficiary. The payer's bank will charge the payer a fee for the payment orders, while the beneficiary pays the charges of any intermediary bank and those of his / her own bank. In case of corporate clients which are larger than micro enterprises, if they request, they have the possibility to upload SEPA transfer orders in UNIFI ISO 20022 XML format. The Bank ensures their clients the possibility of SEPA file upload in a dedicated user interface. The Bank makes available the description and other documents of the related file for these clients of the Bank based on request. If you have any questions regarding the present Information or you do not have access to any of the documents or information referenced herein, you can contact any of our Branches or call our Call Center +36 1 473-4440, where our colleagues are ready to handle any and all of your disposal needs.